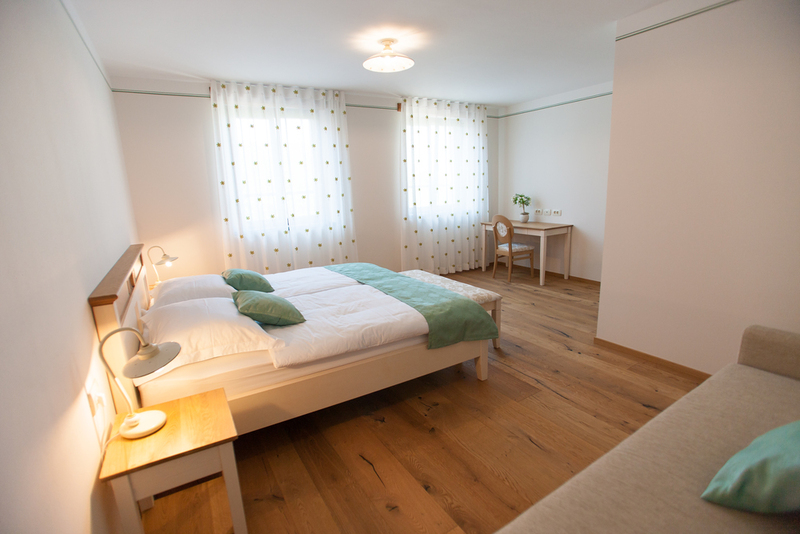 Zarja, Roža, Luna, Vita and Brina are the names of the five rooms providing hospitable accommodation. There are 11 luxurious beds in them altogether. 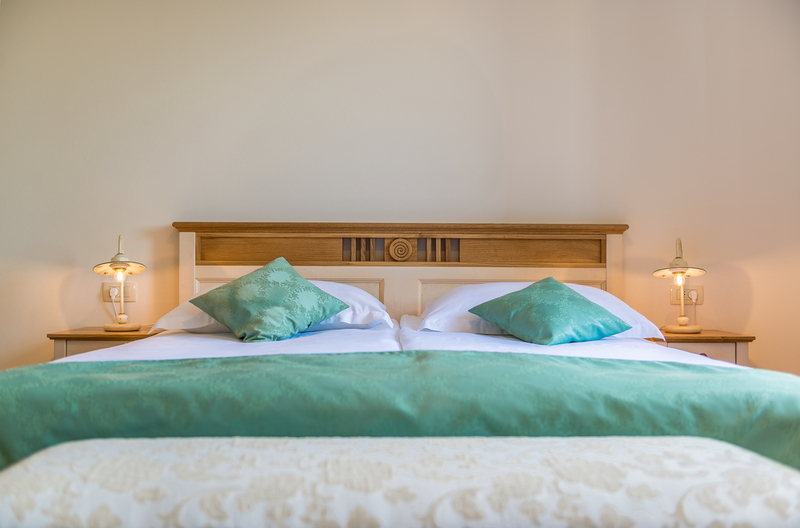 Another 5 beds are available when needed. Each room has been given joy with a different colour. Every detail of the rooms is enriched with colours. The same goes for tailor-made wooden furniture, which breathes together with the room. Accommodated guests can share the outdoor balcony and the indoor nook on the first floor. The latter is meant for hanging out while reading books, surfing the web, watching TV or sitting quietly while admiring the natural scenery through the window. Carefree dreams smell like a rose garden. 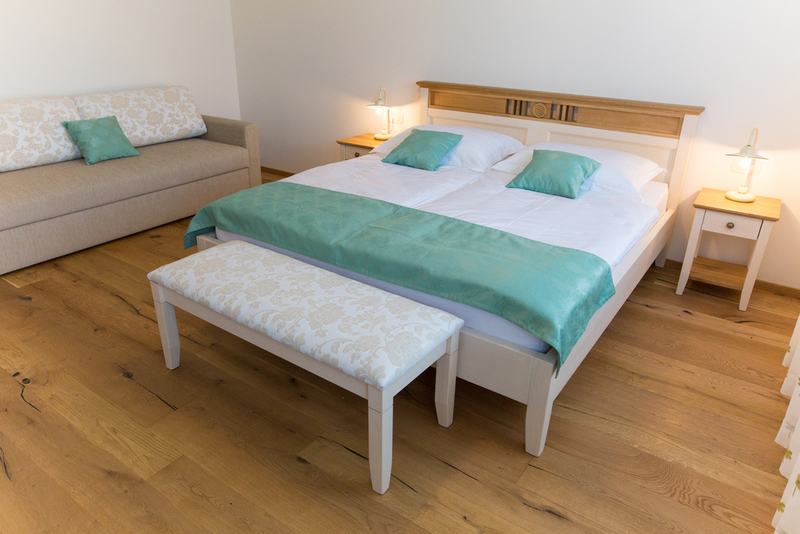 Roža offers luxurious accommodation in a 270 sq foot room. It is furnished with tailor-made furniture, highlighted with wild cherry wood. It also includes a three-seater sofa, which can be turned into a bed. Its comfort is complemented by a spacious bathroom and a majestic lobby. The sunny morning is the first smile of the day. Zarja offers luxurious accommodation in a 270 sq foot room complemented with a 151 sq foot terrace, where you can indulge yourself in the caress of the sun’s rays. It is furnished with tailor-made furniture, highlighted with pear wood. It also includes a three-seater sofa, which can be turned into a bed. 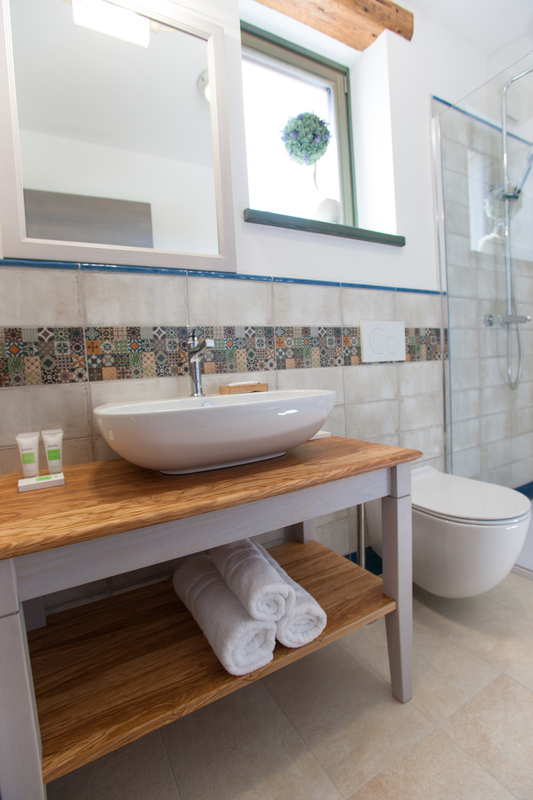 The comfort of the room is complemented by a spacious bathroom and a majestic lobby. Vita offers luxurious accommodation in a 291 sq feet room paired with an 86 sq foot room, thus being perfect for families. It is furnished with tailor-made furniture, highlighted with oak wood. It also includes a three-seater sofa, which can be turned into a bed. 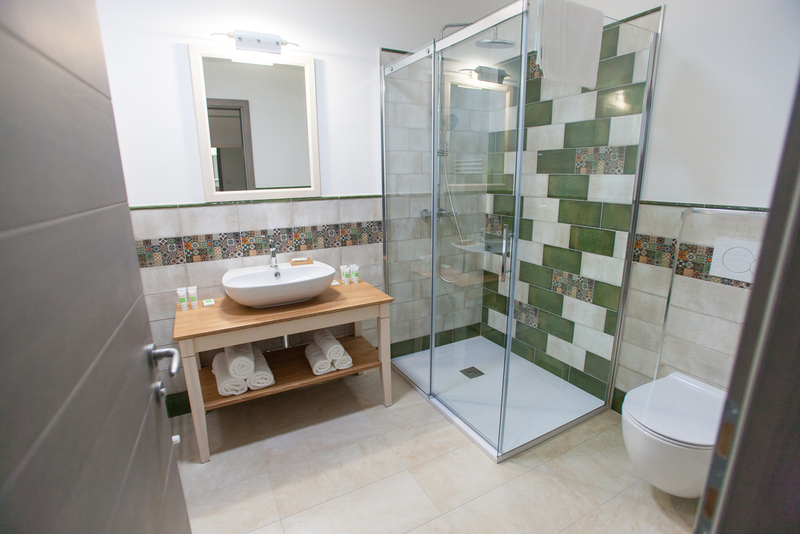 The comfort of the largest Krasna room is complemented by a spacious bathroom and a majestic lobby. A walk in the moonlight is an evening gift for the soul. Luna offers luxurious accommodation in a 312 sq foot room. 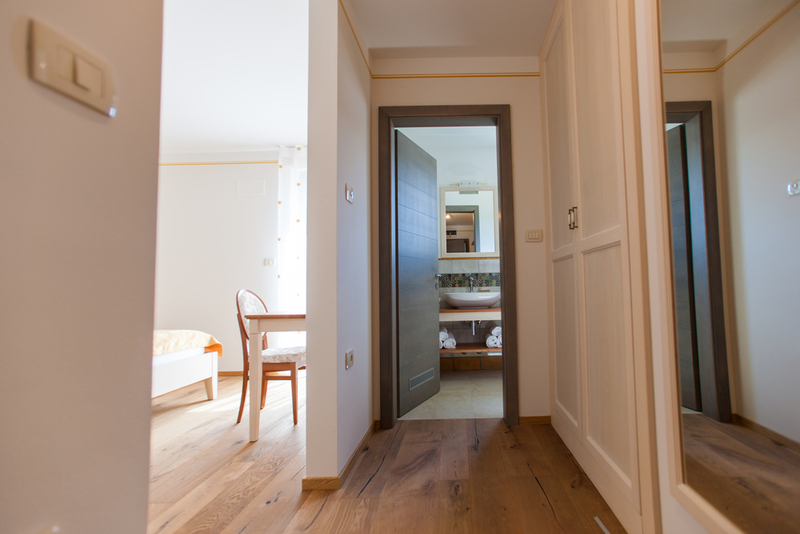 It is furnished with tailor-made furniture, highlighted with olive wood. It also includes a three-seater sofa, which can be turned into a bed. Its comfort is complemented by a spacious bathroom and a majestic lobby. Every day needs a bit of tenderness. Brina offers luxurious accommodation in a 280 sq foot room. It is furnished with tailor-made furniture, highlighted with walnut wood. It also includes a three-seater sofa, which can be turned into a bed. Its comfort is complemented by a spacious bathroom and a majestic lobby.